Can you feel that change in the air? Never mind the fact that the seasons in Miami are mostly a social construct, the art season is upon us. 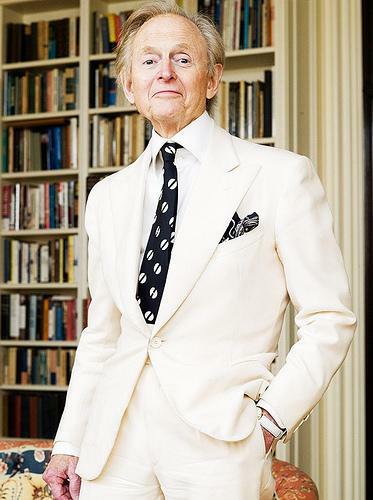 While we remain hopeful for a significant temperature drop in mid-October, novelist Tom Wolfe is forecasted to drop his latest work Back to Blood on October 23rd. 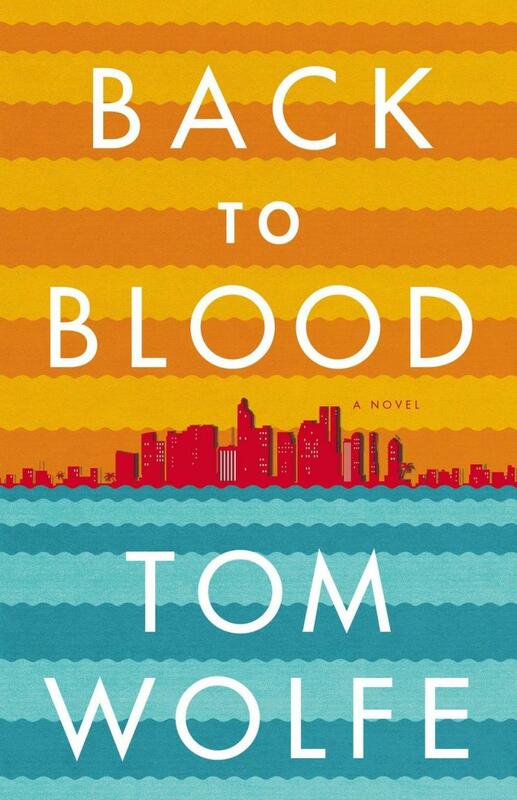 Set in Miami, the novel explores the multi-ethnic urban jungle of South Florida - and all the perceived class struggles that entails. In a recently released excerpt of the novel for Vanity Fair, Wolfe's Cuban-American exile character, Magdalena, witnesses the international display of opulence and madness that is Art Basel. On Wolfe's Miami Beach, art season blows a cold wind. [A]t high noon, or 11:45 A.M., to be exact, on this particular December day Magdalena and Norman were indoors … in the distinguished company of Maurice Fleischmann, along with Marilynn Carr, his “A.A.,” as he called her … short for art adviser. In fact, he had begun using that as her nickname … “Hey, A.A., come take a look at this” … or whatever. With dignity, insofar as that was possible, the four of them sought to keep their place in a line, more or less, less a line, in fact, and more like a scrimmage at an Iranian airline counter. Two hundred or so restless souls, most of them middle-aged men, 11 of whom had been pointed out to Magdalena as billionaires—billionaires—12, if you counted Maurice himself, were squirming like maggots over the prospect of what lay on the other side of an inch-thick glass wall just inside a small portal, Entrance D of the Miami Beach Convention Center. The Convention Center took up an entire city block on Miami Beach. An ordinary person could walk past Entrance D every day for years and never be conscious of its existence. That was the whole point. Ordinary people didn’t know and mustn’t know that billionaires and countless nine-digit millionaires were in there squirming like maggots … 15 minutes before Miami Art Basel’s moment of money and male combat. They all had an urge. … Once, when she was six or seven, Magdalena had come upon a little dead dog, a mutt, on a sidewalk in Hialeah. A regular hive of bugs was burrowing into a big gash in the dog’s haunch—only these weren’t exactly bugs. They looked more like worms, little, short, soft, deathly-pale worms; and they were not in anything so orderly as a hive. They were a wriggling, slithering, writhing, squiggling, raveling, wrestling swarm of maggots rooting over and under one another in a heedless, literally headless, frenzy to get at the dead meat. She learned later that they were decephalized larvae. They had no heads. The frenzy was all they had. They didn’t have five senses; they had one, the urge, and the urge was all they felt. They were utterly blind. You might argue: We don't have Art Basel.. Art Basel has us. Continue reading at the Vanity Fair website here.